UAE-based Indian businessman Yusuff Ali MA is apparently playing a key role in talks between debt-ridden Jet Airways and Etihad Airways for a bail-out. Naresh Goyal, the chairman of Jet Airways, approached Yusaff Ali amid talks with the UAE national carrier, according to a Times of India report. The Indian tycoon will have a major role in the dispensation that might be arrived at if the talks succeed, notes the report, quoting sources who cited Yusuf Ali's proximity to the Abu Dhabi ruling Nahyan family. The Lulu Group chairman was also behind talks between the two airlines in 2013 which, fizzled out after a deal was almost clinched. There is the possibility of a third Indian investor joining the rescue effort and that might not be Ali, according to a report on Livemint. Some reports suggest that Etihad has agreed to guarantee a soft loan of up to $150 million to the troubled airline which is seeking avenues to tide over current crises, while talks on stake acquisition are underway. Jet Airways requires an estimated $500 million before April 2019 to stay airborne. Jet Airways, according to news reports, is already behind schedule on aircraft lease rentals payment and has not paid out salaries to senior staff including pilots for the last few months. Shares of Jet Airways have already plunged more than 66 per cent since January. 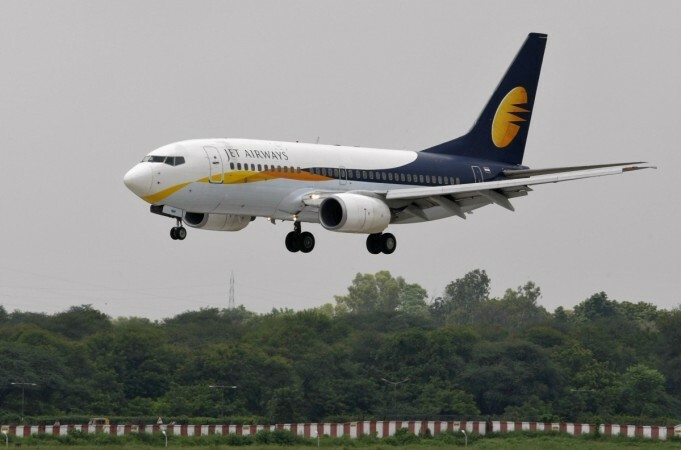 Rating agency ICRA has downgraded Jet Airways' credit rating to 'B', denoting a high risk of loan defaulting, making it tough for the airline to raise fresh loans now. Executives of Etihad and Jet have met the airline's creditors several times in a bid to find a way forward. A source reportedly told Livemint that some of Jet Airways' biggest lenders, mainly public sector banks, have been sounded off. "The domestic lenders are yet to come back with a firm commitment." Mint reported in August that Jet Airways had written to a consortium of overseas lenders seeking a loan waiver covenant on its debt facility of about $185 million to avoid a default. Recent talks between Jet and Tata reportedly failed on the insistence that Goyal should let go of a controlling stake in the new entity.